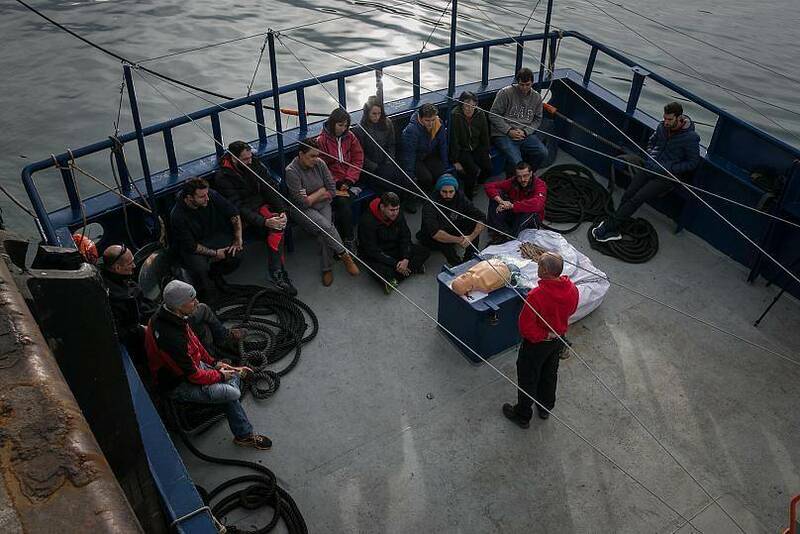 With Friday's blockade of the Aita Mari rescue ship in Port of Pasajes in northern Spain, the Government of Pedro Sánchez marked a shift in its migration policies. Because of its dependence on Spain's Ministry of Development, the maritime head of the port of Pasajes denied the ship’s request to sail off to the Mediterranean. 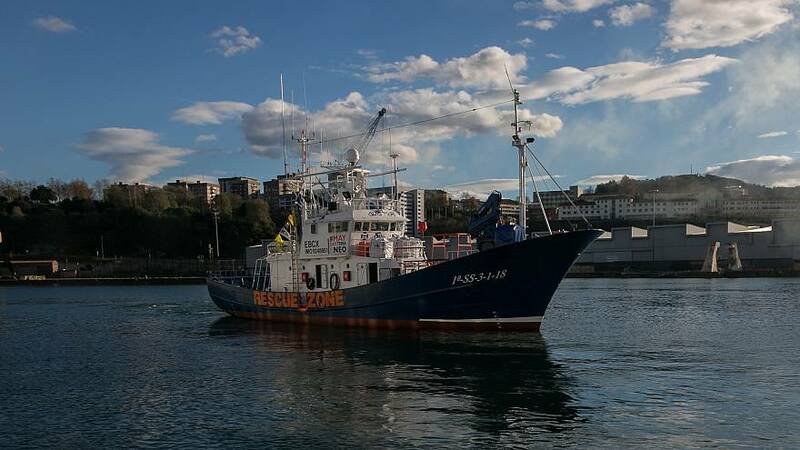 "The issue is now in the hands of our lawyers," said Iñigo Mijangos, president of Humanitarian Maritime Rescue (SMH), the NGO that owns the ship, adding they would appeal the decision. Ready to sail, the Aita Mari had complied with all the requirements of the Spanish flag regulations. However, this is not the first time that the government blocked the former fishing boat from taking off. A few months ago, SMH gathered signatures to denounce the bureaucracy behind its delayed departure, which spokespeople for the Ministry of Development cited as a normal procedure. Meanwhile, Aita Mari's immediate plans were to wait for the appeal’s answer from ports closer to the Mediterranean, like Palma or Tarragona, so the ship can set sail as soon as possible. "The administration now has three months to answer us, we will see how long it takes. I do not want to have the confirmation that these are intentionally caused delays," said Mijangos. "We have not been surprised by this response. Given the case of the Open Arms, we expected it, but listening to the legal arguments against that resolution, we had a small hope," he lamented. The Spanish Ministry of Public Works’ refusal for the Open Arms to sail to the Mediterranean was quickly applauded by the Italian Minister of the Interior, Matteo Salvini. If the Sanchez government started off offering safe harbour to the Aquarius, which sailed with more than 630 rescued people on board after Malta and Italy denied it entry into their ports, the decisions to block the Open Arms and Aita Mari, show a turn in migration policies by the Sanchez administration. However, this is not the first time the Spanish Government has made a U-turn on its migration policies. Even though Sanchez was against a Popular Party law that allowed the return “en caliente” (hot) of illegal migrants — quick returns that bypass immigration laws — at the southern borders of Ceuta and Melilla, his mentality completely changed after becoming the head of the government. The left-wing prime minister used similar arguments to those of his predecessor, Mariano Rajoy, to defend these types of returns. Additionally, the Maritime Rescue (Salvamento Maritimo), a branch of Spain’s government dedicated to making rescues at sea, became completely silent on social media. 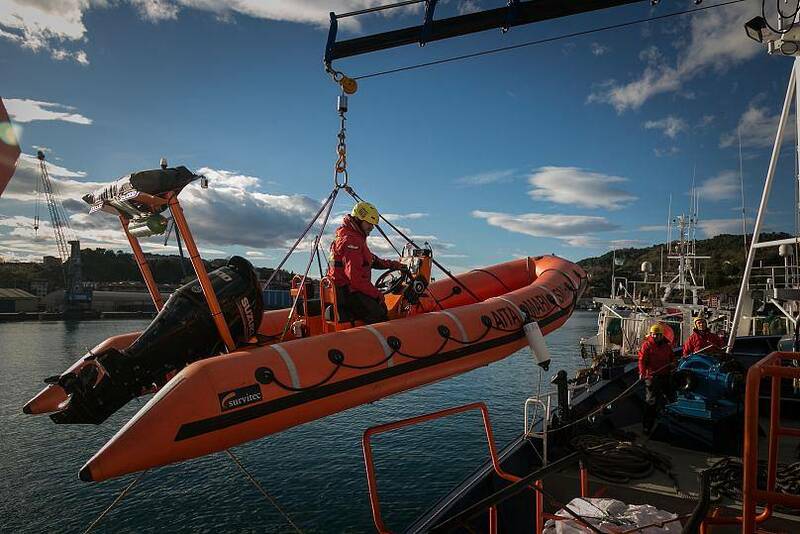 Since the end of 2018, NGOs and the majority union, CGT, have denounced the public entity for no longer informing people about the rescues made by small boats leaving from the strait or the sea of Alboran in Southern Spain. "They won't let us save lives"
"They have the time and means to withstand our resources," protested Iñigo Gutierrez, Vice President of SMH. "But we don't have the time. As time passes and we stand here, people drown. They don't let us save lives." According to UNHCR figures, in 2018, 2,262 bodies were recovered from the Mediterranean. However, the UN refugee agency does not have a number for missing people. "If it is recognised in that document that lets us set sail that aid is needed in the Mediterranean, then let an army ship or one of Maritime Rescue ships save people if you don't want Aita Mari to go," said Mijangos. "When earthquakes or tsunamis occur in distant places, the state shows solidarity and puts all its means to help those countries, we would like them to stop putting obstacles here and do the same (as elsewhere)."